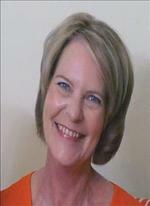 Melissa Lewis, 58, died January 29, 2019, at her home in Pawnee. A service will be held at 2:00 p.m. on Friday, January 8, 2019, at the Lost Creek United Methodist Church with interment following at Sunset Memorial Gardens. Strode Funeral Home and Cremation is in charge of arrangements. She was born in Wichita Falls, Texas on July 22, 1960, to Frank Ross and Jane Grimsley Ross. Melissa and Curtis Lewis were united in marriage on October 13, 1979, in Aberdeen, Washington. 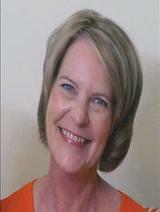 She attended Oklahoma State University earning an associate degree in business which led to her work as a payroll clerk. The First Methodist Church in Idabel, Oklahoma, held her membership. She was preceded by parents Frank and Jane. She is survived by her husband, Curtis and children Curtis and Jessica and her grandchildren Gabriel, Ian and Ariella, as well as, a brother Marls. To send flowers to the family of Melissa Lee Lewis, please visit our Heartfelt Sympathies Store.